One clove but please do remove this and the cinnamon stick before serving. 1. Put the honey/sugar into a mug/cup with the lemon squash if used. 2. Add the boiled water. Add the fresh lemon slice if used instead of squash. 3. Add the cinnamon stick if used. Leave to stand for about 5 minutes. Remove the cinnamon stick. 4. Sprinkle with ground nutmeg if used, then serve. 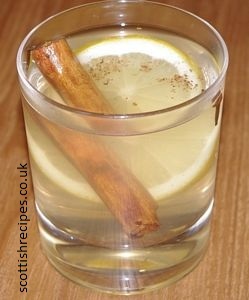 I love this whisky hot toddy - especially with a fine malt - you don't need to be poorly to enjoy it! 3. Top up with more boiled water. Add the cinnamon stick and cloves if used. Leave to stand for about 5 minutes. Remove the stick and any cloves used. 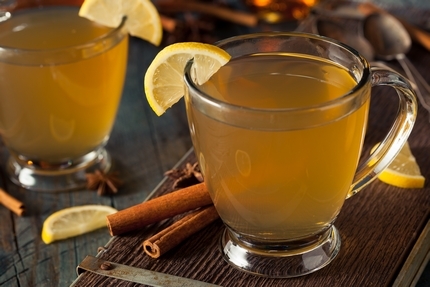 A more traditional Scottish hot toddy recipe can be found in the book The Scots Kitchen by F. Marian McNeill with basic ingredients of just whisky, sugar and hot water. 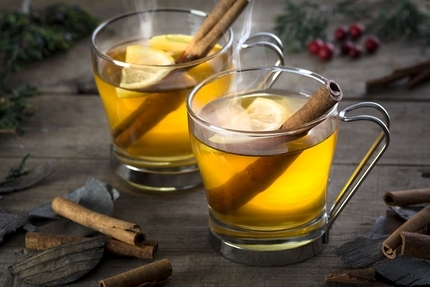 The hot toddy drink recipe for adults should not be given to anyone taking antibiotics or painkillers because of the whisky content though the adult hot toddy can still be made and drunk without alcohol. The honey and lemon content should help to give some comfort to a sore throat. The spices such as nutmeg, cinnamon and cloves provide a comforting smell, aroma and taste. 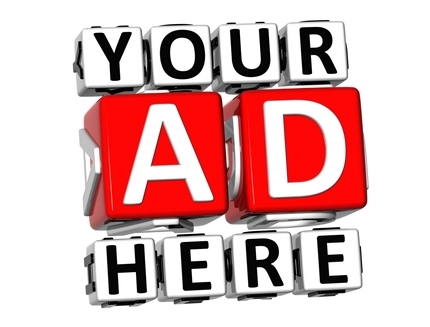 Please note that the photos on this page are for demonstration use only and we have used a clear glass for photograph purposes only. We would suggest using a mug with a handle to make your hot toddy recipe because the liquid will be hot.